Have a question about astronomy? Send it to astdept@indiana.edu and get it answered! 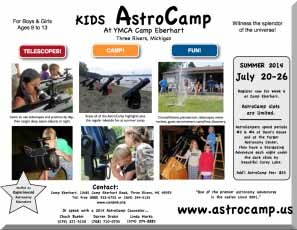 Link: http://www.astrocamp.us/AstroCamp is an astronomy adventure for kids ages 9-13 at YMCA Camp Eberhart in Three Rivers, MI. Registration is now open for the 2014 session on July 20-26. It’s a weeklong summer camp with emphasis on learning constellations, getting hands on telescopes, and targeting deep sky objects. Kids also enjoy the regular camp activities on the shore of beautiful Corey Lake. Space (at AstroCamp) is limited. Although our lives depend on plants for virtually everything that keeps us alive (oxygen, food, fibers, lumber, fuel, etc. ), their lives remain a secret to most of us. The reason is simple—plants live on a different time-scale from ours. Although not usually obvious in the relatively hyperactive activities of humans, plants are in constant motion as they develop, search for light and nutrients, avoid predators, exploit neighbors, and reproduce. Time-lapse photography allows us to easily see the movements of plants and clearly demonstrates that plants are living organisms capable of some extraordinary things. Time-lapse photography is done by capturing a series of images at intervals ranging from seconds to hours apart. When the images are viewed in rapid succession, much like a flip book, the effect is to compress into a short period the changes that occurred over a relatively long period of time. 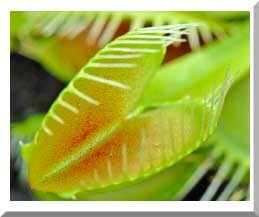 The movies on this site show a variety of plants living out their dynamic lives. While it is hoped that this site provides material that may captivate the interest of budding plant biologists, even the seasoned plant biologists will find interesting material. New movies will be added to the site as they are made or obtained. The following is a list of Boy Scout merit badges, Webelos Scout activity badges, and Cub Scout belt loops and pins typically offered at Scout camps. 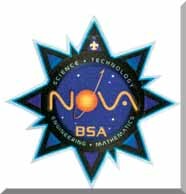 These will count toward the BSA's new Nova Awards program. The Nova AwardsThere are four Nova awards for Cub Scouts, Webelos Scouts, Boy Scouts, and Venturers. Each award covers one component of STEM—science, technology, engineering, or mathematics. The LaSalle Council has an active STEM Program. At Career Academy South Bend, it is our goal to create an environment that develops a sense of belonging, respect, personal value, engagement, and grit in students. We strive to instill in our students the ability to succeed by establishing and maintaining an innovative and entrepreneurial culture. 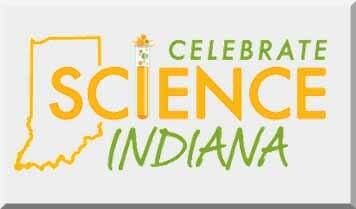 Celebrate Science Indiana is a public event that demonstrates the importance of studying science and the joy of discovery, the economic value of science, and its significance to society. For all age groups and for individuals from all walks of life, science impacts our daily lives, and the event aims to encourage young Hoosiers to pursue exciting, rewarding careers in science. Professors Robert Goldstone and Linda Smith have grants from the Department of Education and the National Science Foundation to study how computer simulations can be best incorporated into seventh and eighth grade science classes. Their aim is to foster generalizable and transferable understanding in students so that a learned scientific principle can be applied in novel and unexpected situations. They are collaborating with classrooms at Jackson Creek Middle School. College of Arts and Sciences, Department of Psychological and Brain Sciences. Envision schools where hands-on science and technology are taught on a regular and consistent basis by knowledgeable, well-prepared teachers using materials that facilitate science learning while reinforcing mathematics and language arts goals. ETHOS Science Center also plays host to many events during the year. We want to inspire not only the kids, but adults as well with the thirst for science. Here are the events we help to host! The vision of the Environmental Education Association of Indiana is to be an environmentally literate citizenry of lifelong learners who are good stewards of our natural resources. The Environmental Education Association of Indiana (EEAI) is dedicated to promoting environmental education, EEAI is not issue driven. EEAI promotes networking and communication between groups and individuals in an effort to provide its members the opportunities to share their knowledge, skills and resources with others. We will work cooperatively to promote opportunities that will educate, motivate, and inspire citizens of Indiana to conserve natural resources and meet the needs of our society while maintaining a healthy environment now and in the future. 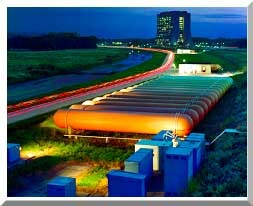 Link: http://stem.iub.edu/projects/pages/ToursOfFermi.shtml Interested high school groups can schedule in-depth tours under the leadership of physics faculty who are conducting research at Fermilab.Department, College of Arts and Sciences, Department of Physics, Indiana University. * participate in the annual conference, which is now attended by over 2000 science educators annually! * keep aware of upcoming meetings, institutes, and workshops of interest to science educators, K-16. 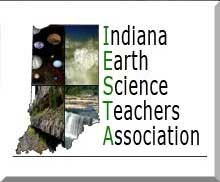 IMSTEA is a non-profit, all volunteer organization dedicated to improving the mathematics, science and technology literacy and competency of all Hoosiers. 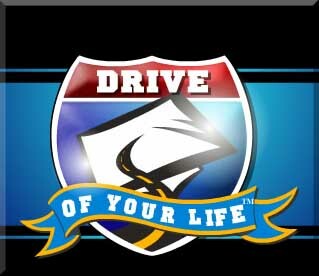 It was founded in 1990 and continues to pursue this goal today. Our past efforts have included several conferences on mathematics, science and technology and integrated curriculum programs. We currently co-sponsor, with Vincennes University, the Super Mileage Challenge, an integrated curriculum project featuring high mileage cars built by Indiana High school students. If your school would like to participate in the Super Mileage Challenge, you will find a letter of intention to participate on another page of this website. Schools outside Indiana are welcome to participate on a non-competition basis (you may participate, but you are not elligible for a trophy). The rules for this year's event are located on another website. Rules change from year to year. We are currently seeking schools and organizations in other states who would like to compete in a regional or national challenge. If your school or organization would be interested, please consult the Contact Information page. Indiana University Bloomington is a regional partner in the Indiana Science, Technology, Engineering, and Mathematics Resource Network (I-STEM), a unique partnership of higher education faculty, K-12 teachers, disciplinary content experts, business leaders, and government officials who are working together to make Indiana a leader in STEM education and student achievement and to improve the quality of the STEM-related workforce across the state. 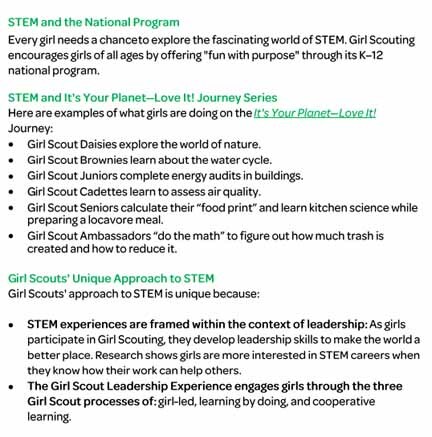 From one-day events for local Brownie troops to graduate-level continuing education courses for Hoosier high school teachers, STEM education and outreach at Indiana University is as diverse and innovative as the imagination of our faculty and staff. Please join IU Bloomington’s efforts to strengthen STEM education and achievement in our community, region, and state. 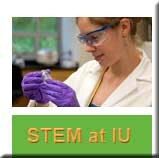 List of ProjectsLearn more about IU Bloomington’s STEM Education and Outreach activities by exploring current projects and initiatives. Year three, as rising ninth graders, students will polish the skills acquired in the previous two summers with a capstone project that incorporates Science, Technology, Engineering and Mathematics (STEM) disciplines and sustainability. For more information, contact Jacquelyn Rucker, Associate Director, Community Relations, University of Notre Dame, 574-631-3249. Why do things work the way they do? And how can we make them work better? Engineers and scientists ask and search for answers to questions like these everyday. And on September 3, 2010, at Notre Dame’s Technological Discovery Day, 350 fifth-grade students from the South Bend Community School Corporation had the opportunity to work with Notre Dame students in the Colleges of Engineering and Science to ask and answer these same questions. The Irish Pet Project: South Bend fifth-graders worked side-by-side with Notre Dame engineering students to brainstorm ideas for toy robotic pets that would be built using the LEGO®Mindstorms® NXT system. Then, at a later date, the future engineers will build the toys and demonstrate them at South Bend schools. The 2010 Domer Freewheeling Derby: This time, the fifth-graders had the opportunity to work with the engineering students to design, build, and race LEGO® vehicles. Mobilization of expertise and leveraging of resources that reach all K-12 children in Indiana, to foster comprehensive and challenging programs of instruction in STEM by distributing tools and learning methods and providing technical assistance to educational leaders (including principals and teachers). Learning: Promotion of STEM education and literacy so that students graduating from Indiana High Schools are prepared for post-secondary education or the work force. Applied Research, Assessment, and Evaluation: Working with existing organizations to research, develop, and disseminate information on the state of STEM K-12 education to policymakers and the media in order to improve decision-making and to identify gaps that need to be addressed. Community Partnerships: Working with government, industry, the education community, and parents to promote continuously improving levels of performance in science, technology, engineering, and mathematics by all children in K-12. Network Development: Coordination with regional partners to develop an interactive and sustainable network that allows for a fluid flow of information; Brokering educational initiatives and resources ensuring that academic success is systemic, continuous, and sustainable. We use this space to share ideas, schedules, documents and anything else that relates to teaching Physics in Indiana. 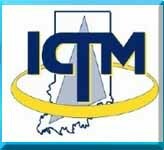 We have a mailing list and welcome discussion about various aspects of teaching physics in Indiana. Multiple statistics about Education in Indiana are available on this page. Location: This robotics program is available in our local schools. 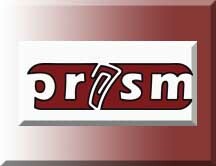 Description: IndianaFIRST is an organization dedicated to growing FIRST robotics programs in the state of Indiana. 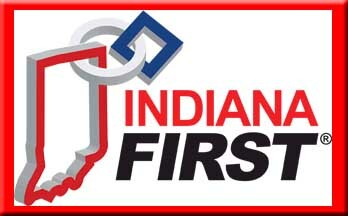 Founded in the fall of 2001 as the Indiana-based affiliate of FIRST, IndianaFIRST brings FIRST programming to students in grades K-12, teaching them hands-on skills in engineering, science and technology that they can relate back to their class work. Description: Our outreach programs are focused on connecting the science of JINA with all audiences, as well as providing opportunities for meaningful collaboration whenever possible. Our goals include contributing to science education at K-12 level, enhancing understanding and appreciation of science by engaging the imagination of the public (especially through use of the Internet), and increasing diversity in the field of nuclear astrophysics. Description: Digital Arts & Technology Center - The Digital Arts/Technology Center at the Kroc Center will have state-of-the-art equipment including laptops, touch screen interaction, and a variety of other technology equipment. The Digital Arts Center has laptops that can be checked out and used in the Kroc Center for independent study and group learning. Users can also bring in their own computers and access our free, lightning fast wireless network. Recording Studio - Do you want to be a star? Do you have a recording project going and you need a place to record your work? Maybe you have the material, but you need to make that demo for the record companies? 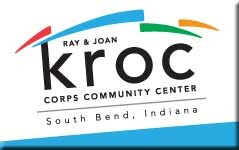 The Kroc Center is the place for you! The Center features an Audio and Video recording studio with editing and mixing capabilities to make your projects come to life. Link: ​http://www.makesouthbend.com/ The vision of MAKE SOUTH BEND is to create a community space to educate, inspire and support local artists, makers and creative community members through a shared working space and tools, weekly classes and a curated gift shop and gallery of local goods and art. Michiana Science & Technology Center, Inc. Description: Vision Statement - To create a Michiana region engaged in the discovery and application of science and technology through connections with educational, business, and community organizations. 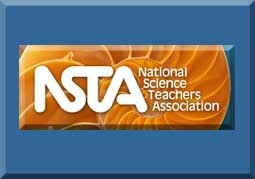 The National Science Teachers Association (NSTA), founded in 1944 and headquartered in Arlington, Virginia, is the largest organization in the world committed to promoting excellence and innovation in science teaching and learning for all. NSTA's current membership of 55,000 includes science teachers, science supervisors, administrators, scientists, business and industry representatives, and others involved in and committed to science education. Click here to read a fact sheet about NSTA. 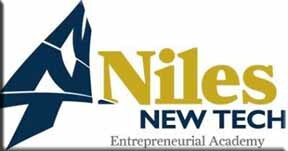 Description: Niles New Tech Entrepreneurial Academy is a progressive school where learners use technology to complete group projects as they would in a professional work environment. Courses are taught in double classrooms by pairs of facilitators who integrate subject content to create projects that are both standards-based and relevant to learners' lives. Niles Community Schools now offers learners the option to take part in a new and innovative program with project-based learning at its core. Learners in the New Tech academy still learn all of the same content standards required by all schools in the state of Michigan, but they learn them by working in collaborative groups, completing projects that are relevant to their lives. Need-to-KnowsAt New Tech, new projects begin with an entry document that introduces the end product learners are expected to produce and asks the driving question(s) that the project should answer. Learners then read and discuss the entry document to generate a list of "Need-to-Knows" that will guide the learning required to complete the project. All local K-12 administrators, K-12 teachers and the faculty, staff and students of local colleges and universities interested in Science, Technology, Engineering and Mathematics (STEM) education, research and commercialization are invited to attend. The Forum is sponsored by the University of Notre Dame to foster a collegial approach to STEM education, research, and–this year–commercialization in Michiana. Last year over 200 STEM professionals participated in the Forum. Registration is free; a free continental breakfast and lunch will be provided to all registrants. A certificate for 5 State of Indiana Professional Growth Points will be awarded to each K-12 administrator and K-12 STEM teacher who attends the full Forum. Mission - FIRST's objective is to inspire young people to get involved with science, technology, engineering, and mathematics. They do this by showing the power of science and mathematics, and it's ability to create landmark changes. By doing this, FIRST aims to make innovative leaders with self-confidence. The IUB Department of Physics wants to help local teachers bring the excitement of physics to middle and high school students in the greater Bloomington area. The department offers local teachers and community group leaders the opportunity to schedule speakers on a variety of topics related to physics, and to borrow equipment and other supplies for use in classrooms and other settings. Physics faculty and graduate students are willing to organize tours of the IUB labs and arrange for students and classes to see our physicists at work. 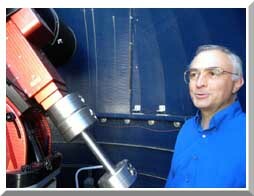 Programs to introduce students to careers in physics and related areas can also be arranged. The members of the department are also happy to serve as judges at science fairs or to partner with 9-12 teachers in preparing students for special competitions, such as the Science Olympiad or Indiana Junior Academy of Science. Please contact Hal Evans, a member of the physics faculty, to learn more about the resources. In 2010, SJCPL ranked 11th among these 316 public libraries. They were one of the first to have internet access for patrons and have consistently stayed ahead of the technology curve with extensive computer labs, laptops and tablets available. The host Science Alive annually. The only NASA Educator Resource Center in Indiana. If you enjoy science, have a good working knowledge base and enjoy working with students to help them develop their interest and skill in science, please consider judging at the 2014 Hoosier Science and Engineering Fair. Over many years, SEFI has provided great opportunities for the students of Indiana to participate in an exceptional State Science Fair. We are affiliated with the Society for Science and the Public in Washington, DC. Each year we provide the opportunity for our top students to compete in the Intel International Science and Engineering Fair in May. The State Science Fair is open to students in grades 4-12 who were selected as a top presenter at one of 12 regional science fairs. We expect 240 projects at this year’s event and will need more than 200 judges in order to provide the first class judging experience that these students deserve! What are the benefits to Volunteer Judges? Share knowledge and experience with today’s youth. Discover opportunities to networks with other professionals. Develop effective analytical and evaluation skills. ELIMINATING THE BARRIERS BETWEEN PEOPLE, TECHNOLOGY, AND JOBSSouth Bend Code School came into existence as a way to grow tech talent. As practitioners in the technology space, we have come to realize that there is a large population that has never been exposed to technology and coding, and many people are unable to obtain the desired training in those areas. In our program, we strive to educate and give coding experience to people from all walks of life. 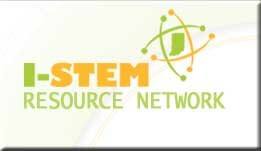 Description: Along with the Indiana Department of Education and Eli Lilly and Company, I-STEM Resource Network is working to reform K-8 science education in Indiana through the Indiana Science Initiative (ISI). ISI started with the creation of Indiana’s Strategic Plan for Science Education Reform in December 2008 by a committee of K-12 educators, scientists, government agents, higher education faculty and led by the National Science Resources Center. I-STEM works with existing organizations to research, develop, and disseminate information on the state of STEM K-12 education to policymakers and the media in order to improve decision-making and to identify gaps that need to be addressed. At Success Academy South Bend, it is our goal to create an environment that develops a sense of belonging, respect, personal value, engagement, and grit in students. We strive to instill in our students the ability to succeed by establishing and maintaining an innovative and entrepreneurial culture. Description: A series of TEDx events designed to empower and inspire young people worldwide, coinciding with Universal Children’s Day in late November. TEDxYouthDay events vary widely in size, format, and theme, but share a common mission: inspiring curiosity, igniting new ideas, and empowering leaders among today’s youth. WonderLab is a private 501(c)(3) non-profit organization whose mission is to provide opportunities for people of all ages, especially children, to experience the wonder and excitement of science through hands-on exhibits and programs that stimulate curiosity, encourage exploration, and foster lifelong learning. It remains a grassroots organization supported by hundreds of volunteers, staffed by many individuals who nurtured it from its beginnings and treasured as a valuable asset by the community. 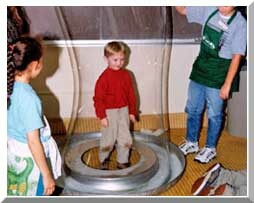 It was recently selected as a Top 25 Science Center in the United States, ranked #17 by Parents magazine in 2008. All exhibits, programs, and summer science camps support Indiana science and math academic standards. 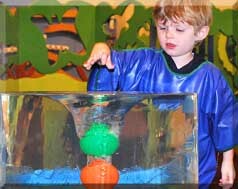 Science programs are offered all year for elementary-age children and their families, and for specific ages, such as toddlers/preschoolers (Science Soup series), preschoolers (Discovery Time series), elementary school (WonderCamp), teens (Teen Challenge Nights series), and adults (joint programs with IU Continuing Studies). More than 11,000 children visit on school field trips each year, having a shared experience that teachers can tap into when covering different science units later. Note: If there is K-12 STEM information you think we should post here, please let us know on the Contact Us page. Thanks!